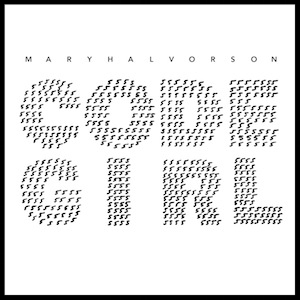 Personnel – Mary Halvorson: guitar; Ambrose Akinmusire: trumpet; Amirtha Kidambi: vocals; Michael Formanek: acoustic bass; Tomas Fujiwara: drums. Guitarist Mary Halvorson is known for her ability to create wayward yet rich soundscapes. She has been spreading sonic charms in fruitful collaborations, usually in duo and trio formats. However, it was leading her octet that she definitely caught the jazz world’s attention, in a rapturous record from 2016 entitled Away With You. Now she’s back with a brand new experience permeated with genre-bending ideas, having penned lyrics and music of the 14 appealing tracks that compose Code Girl, a vocalized album envisioned for the quintet of the same name. It features Amirtha Kidambi on vocals, Ambrose Akinmusire on trumpet, Michael Formanek on bass, and Tomas Fujiwara on drums. “My Mind I Find in Time”, the opening piece, is introduced by processed guitar replicas, giving a sensation that Halvorson is having an echoed conversation with herself. The powerful, incisive voice of Kidambi, a classical trained singer whose intonations sometimes bring Irene Aebi to mind, is placed over guitar melodies that take the form of rhythmic figures. Later on, while strumming, the guitarist designs pungent electro-acoustic chords, encouraging a striking pulse that sustains Akinmusire’s electrifying trumpet solo. On “Possibility of Lightning”, guitarist and trumpeter utter parallel phrases with Kidambi’s voice flawlessly meddling to converge with their movements. While Formanek sticks to a pedal, distortion inflames Halvorson’s guitar, whose driving noisy bumps take us to alternative rock zones. Words and ‘ahs’ dance in counterpoint with guitar and trumpet, leading to a volatile crossing between the indie-rock bravery of Deerhoof and the innocuous modes of the new age. Evoking King Crimson and Robert Wyatt, “Storm Cloud” unleashes melancholy through the guitar fingerpicking, a perfect vehicle for Kidambi’s forlorn and poetic declamation. Even with the bowed bass inflicting a deeper sense of gravitas, the robustness is only increased from the moment that Fujiwara takes action. The improvisations were assigned to the bandleader, who uses a slide-guitar effect for a quirky sound, and Akinmusire, who doesn’t rush his thoughts but builds them consistently. Both “Pretty Mountain” and “Accurate Hit” are semi-obscure pop songs. The former is enlightened by Akinmusire’s fantastic improvisation and a few abrupt drum slaps, while the latter displays a simple harmonic progression painted blurred by Halvorson’s occasional dissonances. The band interlocks pop/rock and cool swinging jazz with shape-shifting ease on “Off The Record”. After the guitarist’s idiosyncratic attacks and flashy effects, we have the gorgeous intervallic escalations emitted by the trumpeter. The longest piece on the record and also one of the most beautiful, “The Unexpected Natural Phenomenon” is a dramatic avant-garde excursion with lugubrious arco bass work, impeccable vocal technique, expressive guitar phrases constantly falling ‘outside’ the expected, and poised drumming. Fujiwara remains in an understated position until the trumpeter starts a galvanizing statement filled with static electricity. At that time, one of those magic clamors is created. If “Thunderhead”, a consolidated collective instrumental, marches resolutely with additive meters, “And” plays with tempo and time signature, toggling between a slow 4/4 and a faster 7/4. With an enviable openness and a propensity to explore the unknown, the unrivaled Halvorson crafts a fantastic album that I urge you to enjoy out loud.